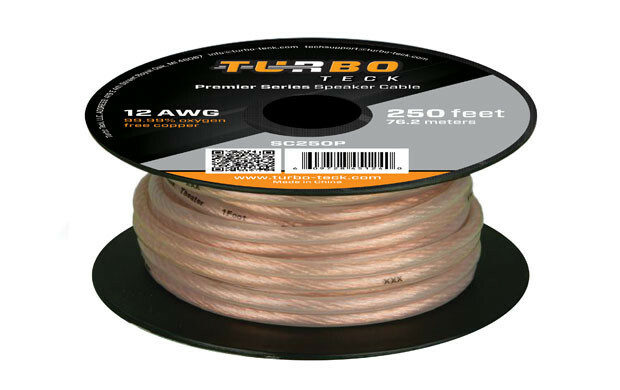 Turbo Teck’s Premier Series speaker cables integrate superior quality materials and technology by using 99.99% oxygen free copper with a 12 AWG wire thickness. This ensures the best sound quality out of your high end home theater and/or high end speakers. Turbo Teck’s Premier Series speaker cables integrate superior quality materials and technology, such as 99.99% oxygen free copper and PVC clear jacket to ensure the best audio quality possible! Package: Rolled on Spool w/ PE wrap.